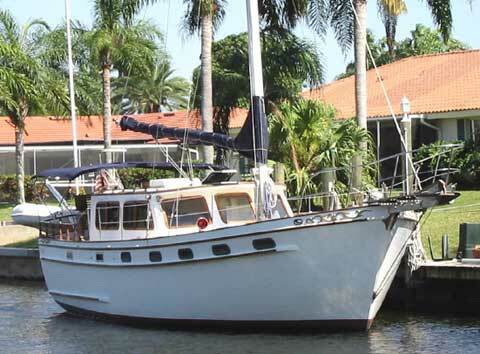 I have a�soft spot�for motor-sailers, probably because my Gramps was so fond of them.�This one is a 1983 Island Trader 40. Not too expensive, either, and the finish is plenty nice. Take a look at the�details�and the interior.�Nice boat. Here's�a rendering�for a new�Nordhavn�56' motorsailer�with transatlantic range under power. Very slick. The designs and large renderings from all angles are on the link. 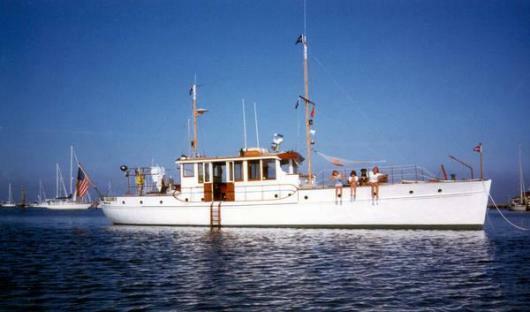 And below is 1918's�62'�Old Glory, build by Lawley's and designed by Fred Lawley. Note her "canoe" stern design.�She is for sale.�You might be able to afford to buy her, but can you afford the upkeep? I used to think that if my wife ever left me, that's what I'd so. Thankfully, she's still here. Mine is too. At times I wonder why she ever stuck around. Fantastic site---are there any subsequent comments &/or messages from May 01, 2007?